I hope you're all having a great start to the weekend. I have mentioned previously that the real reason for my love of Disney stems very much from my family and more specifically, my Mum, who first took me to Disneyland Paris in 1992, when I was merely one year old. 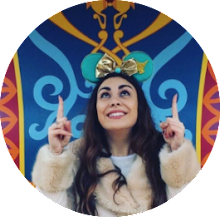 For this reason, I decided to have a chat with her about Disney - her likes, her dislikes, her experiences - as I have never really sat down with her and taken the time to do so. I hope you guys find this an interesting read. I was really thankful to be able to discuss this fully with her and learn new things about a passion that we both share and enjoy together, even now, all these years later. Me: Okay, so let's get started. 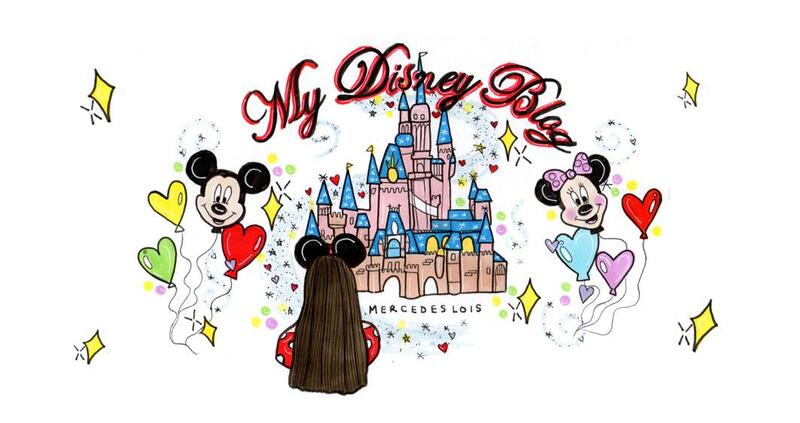 Where, when and how would you say your love of Disney began? Having said that, there was always a big hype around the Disney Classics when I was a little girl as the movies were only released in Cinema maybe every five years or so, so there was naturally a real 'buzz' around them when they did come out. I remember the build up, the hype - it was always a huge event when a Disney movie was going to be released, like a big Hollywood Blockbuster would be now. I really remember going to see Sleeping Beauty in the cinema and it being a truly magical experience. Me: Why did you first decide to go to Disneyland? Mum: The first time we went, I hadn't really given it much thought. A friend's husband was working over at Euro Disney, so we were able to get complimentary tickets to the opening. 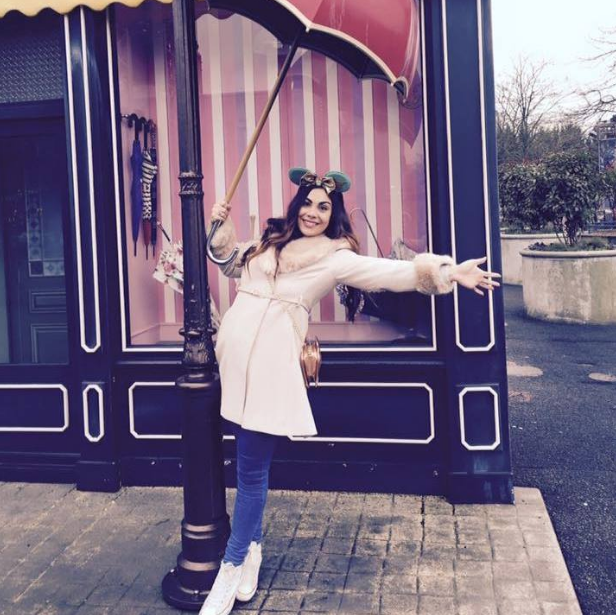 As you were only a baby, I thought Disneyland Paris would be much more accessible than the US. Also, as I was in my early 20s and on my own with you, money was quite tight and this was a very affordable way for us to do Disney because I literally only had to pay for our travel and spending money. The second time we went was much more memorable; I was turning 30 and I just did not want to grow up. You were 6 then and I wanted to do something really special so I thought of returning to Disneyland. I figured that for somebody not wanting to get old and a small 6 year old girl, this would be a fabulous place for us to visit and it didn't disappoint. I was hooked ever since. Mum: Well it wasn't really like that initially... certainly not when you were a little girl. I know it was definitely before you turned 21 because we asked you what you wanted and you said that you didn't care about having a huge party or a main present, you just wanted the promise that we could return to Orlando, so we did! I'd say the 'Disney' obsession probably happened at some point in your teenage years but I'm not sure. Me: What would you say is your most magical Disney memory? Mum: There have been so many! I think... and it is hard to pick one... but it has got to be the first time that we dined in Cinderella Castle with the Princesses in Orlando. Obviously the fireworks are so magical and the year that we spent your Birthday out there too, but I think the dinner with the Princesses is the most memorable. Morgan was only tiny and you both had to make a wish on your wishing stars; I still have them! I know it sounds silly but another magical memory was when we first went to Pizza Planet in Disneyland Paris; it wasn't there the first time and I remember walking in and feeling like I was in the movie! [Toy Story] It was great. Me: What would you say is your favourite Disney Hotel? Mum: I'd have to pick one from each Disneyland. Port Orleans, French Quarter in Orlando because it was just stunning and the first time we had stayed on site. In Paris, I would say Newport Bay because when we stayed, they made a mistake with our booking which resulted in us having an amazing Admiral's Suite for a fraction of the price! Morgan learnt to crawl there. Me: If you could pick any Disney Resort to visit right now, which would it be? Mum: Just for Pirates of The Caribbean. Me: Speaking of which... what's your favourite Disney attraction? Mum: Pirates is definitely up there. There's two. If I could only go on one for the rest of my life I'd pick Pirates but The Tower of Terror is a close second. Me: I'm not sure if you're aware but The Hollywood Tower of Terror in California has recently been re-themed after the Marvel Guardians of The Galaxy franchise. What do you make of that? Mum: Quite sad actually! I'm not a Superhero fan... well apart from the Spider Man ride in Universal Studios! But yes, very sad about that although, I am sure Disney will do a fabulous job anyway! Me: Have you also heard about the plans for Hollywood Studios in Orlando? They're basically turning it into Star Wars and Toy Story land! What do you think of that? Mum: I'm not particularly happy about that. I'm not into Sci-Fi and have never really understood the whole Star Wars thing but, knowing Disney and how much I love the Star Tours ride, I'm sure it will be fine. I'm not excited about it, I'm kind of indifferent but I appreciate that Disney need to get more of a presence of these franchises within the parks. Me: Moving away from the parks a little now, what's your favourite Disney movie? Mum: Beauty and The Beast. Mum: Yes, it's a hard decision but that has to be my favourite. Mum: I always get confused with you because I know Jasmine is your favourite Princess but I think I knew that. I know you like Belle too. Me: That doesn't count! Who's your favourite Disney Princess? Mum: It would have to be a classic for me and whilst I love the new, 21st Century Princesses and think they are excellent role models, to me, Cinderella is just the ultimate Disney Princess. She is bullied, abused, victimised but yet, she has a graciousness and poise and she is kind, loving and giving... when I was little, there weren't really any brunette Princesses with tanned skin so I always envied Cinderella's blonde hair too. Mum: I do like both of them but I think Cinderella has more character and is the true Disney Princess. I also love her story, the magic with the Fairy Godmother, the pumpkin, the urgency of returning back home before everything changes at midnight... definitely Cinderella. Me: If you could watch any Disney movie right now, what would it be? Me: No, I mean the new Beauty and The Beast! Mum: Oh absolutely! I can't wait for that to come out. We saw the musical in the West End three times and I loved it so I hope this is similar! Me: What's your favourite Disney song? Mum: Just Around The River Bend from Pocahontas - it gives me a real feeling of empowerment. I also love Part of Your World but I think the Pocahontas song is my favourite. Me: If you could make three decisions to Disney Parks, what would they be? 1. They can never replace Pirates of The Caribbean, only with updates like in Shanghai. 2. There would be more to Fantasyland. I haven't been to New Fantasyland in Orlando yet so maybe it is better but I think they need more Princesses. Families shouldn't have to queue for hours at a time to meet with the Princesses... they need to tackle this. 3. I wouldn't want to change too much as I do feel the parks work well as they are but I would like more shows. I think everybody that goes to a Disneyland should be able to have a West End experience. Shows like Pocahontas in Disneyland Paris and The Finding Nemo Musical in Animal Kingdom should be on all year round so everybody has the amazing opportunity to see them. Mum: It will probably be another Winnie The Pooh. Me: What would you say is your ultimate Disney Tip? Mum: The Disney Dining Plan and learning to manipulate it! Use your snacks to buy Trail Mix and Chip 'n' Dale Cheddars for long queues. Never use meal points on Breakfast; either get it as a snack or pay for it in dollars. At the end of your trip, if you have snacks left over, remember that you can buy anything for under $5 which includes delicatessen treats and edible gifts in the stores that you can bring home as souvenirs for your loved ones! Me: And finally, if you could ask any Disney related question, what would it be? Mum: I suppose are there plans for another? Why did they choose Paris? Why not Spain? Me: Probably to attract the UK market although the weather is rubbish! Would Disneyland London be a good idea do you think? Mum: Initially, I would say yes. It would be accessible and easy for us to get to so much cheaper but actually, probably not. The thing that makes Disney holidays so magical is that they are a holiday and if we had Disney here, it would probably just feel like another Thorpe Park! Also, the weather would be an issue. It doesn't matter how much time and effort they put into planning, nobody wants to stand around waiting for a parade in the English rain!